Closely supervised by our podiatrists, the Foot Care and Hygiene Department provides a range of services to keep your feet comfortable. An experienced on-site team of professional orthotists and mechanics looks after moulding, manufacturing and adjusting the foot orthotics prescribed by your physician, physiatrist or podriatrist. Isabelle, Caroline, Simona et Florence. 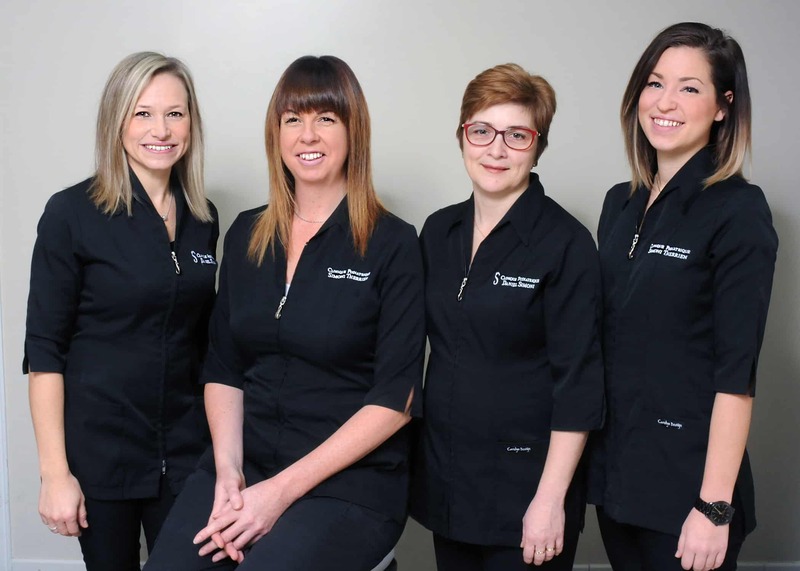 Our team of assistants has four nurses and auxiliary nurses who combine their experience in foot, wound care and assistance. They help us to be the best podiatric clinic thanks to their extra care. 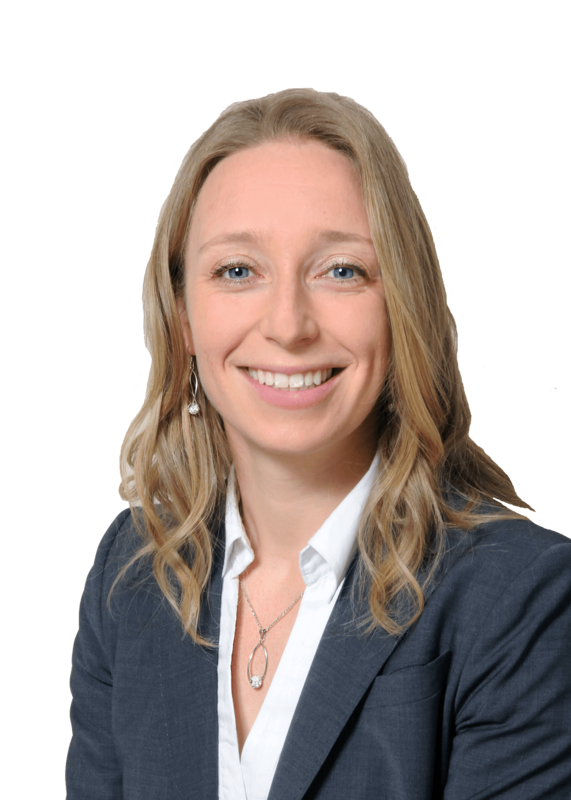 Dr. Therrien studied podiatric medicine at the University of Quebec at Trois-Rivières and graduated in 2008. She then travelled to the United States to enhance her knowledge. 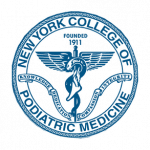 She spent a year at the New York College of Podiatric Medicine, including several rotations in Manhattan and Bronx hospitals, including internal medicine and emergency medicine. That same year, she passed several US national exams in order to be eligible to practice a specialization (residency) in forefoot surgery. the owner of the clinic in 2016. In addition, she is a member of Podiatrists Without Borders, an organization with which she carried out a humanitarian mission in Togo in December 2013. Dr. Therrien has also been accredited with a US national certification; the American Board of Podiatric Medicine (ABPM) in 2014. Finally, in 2017, she completed a training course in musculoskeletal ultrasound to offer you a better clinical service and improve the diagnosis speed. Dr. Angelo Macaluso obtained his doctorate in podiatric medicine by collecting more than a dozen merits and scholarships for his academic achievements and his involvement. Winner of the 2014 Personalité Force avenir Award through Quebec universities. 2013 Lieutenant Governor&#39;s Medal. Honorary Distinction of the University of Quebec at Trois-Rivières 2014. He has also co-founded a community podiatric clinic at Accueil Bonneau, which offers volunteer treatment to people who are homeless. He participated in a one-month humanitarian mission to Cameroon in the Bafoussam region to provide treatment to the local population and train medical students on podiatry-specific treatment techniques. Dr. Macaluso also held the position of president of his student association and participated in the evaluation committee of the podiatric medicine program at UQTR. More recently, he completed a training course in musculoskeletal ultrasound to optimize diagnosis and perform echo-guided infiltration. Dr. Macaluso has a special interest in motor disorders for both top athletes and amateurs. He also practices running in his spare time having completed marathon and half marathon events. 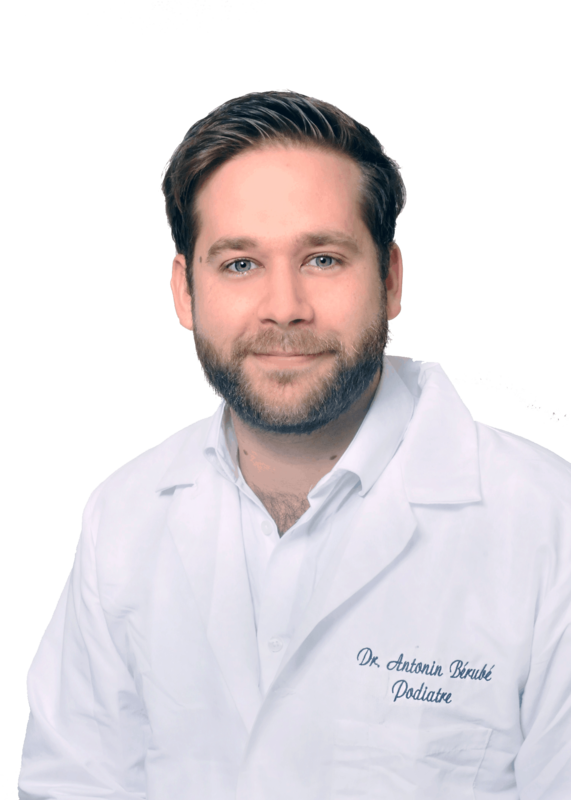 Dr Bérubé is graduate in podiatric medicine (DPM) from the University of Quebec at Trois-Rivières (UQTR). In addition to his degree, he obtained a certificate from the New York College of Podiatric Medicine (NYCPM) following a session abroad including rotations of surgery, orthopedics, pediatrics and wound care. 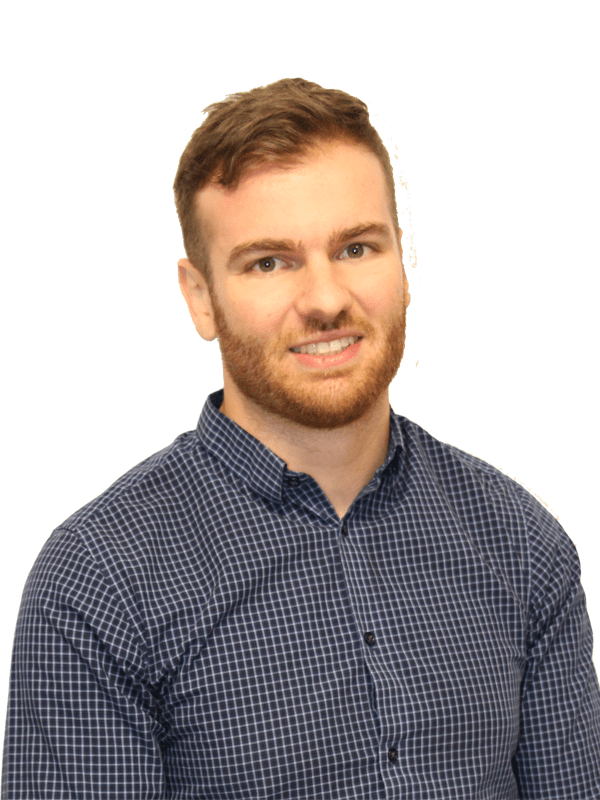 He has also completed internships at the Lanaudière Regional Hospital Center and the Trois-Rivières Hospital Center in the Nephrology and Wound Care departments. Dr. Bérubé has maintained a keen interest in research. He is currently engaged in a research and development project in partnership with the University of Montreal (UdeM) Motion Simulation and Modeling Laboratory (S2M). He stays on the lookout for the latest studies and relies on &quot;evidence-based&quot; medicine to ensure his patients receive the best possible care. Discomfort, pain or other symptoms may lead you to consult a podiatrist, who will conduct a thorough examination to establish a diagnosis and determine the best way to treat your condition.